As I mentioned earlier there are new limited edition Moleskines available to celebrate the 60th Anniversary of Schulz’s Peanuts. I first read about the Pac-Man edition in Office Supply Geek’s newsletter which in turn lead me to the Peanuts edition. This is my first Moleskine. I have used similar notebooks in the past, but somehow I have never bought one from Moleskine Srl / Modo & Modo Spa. 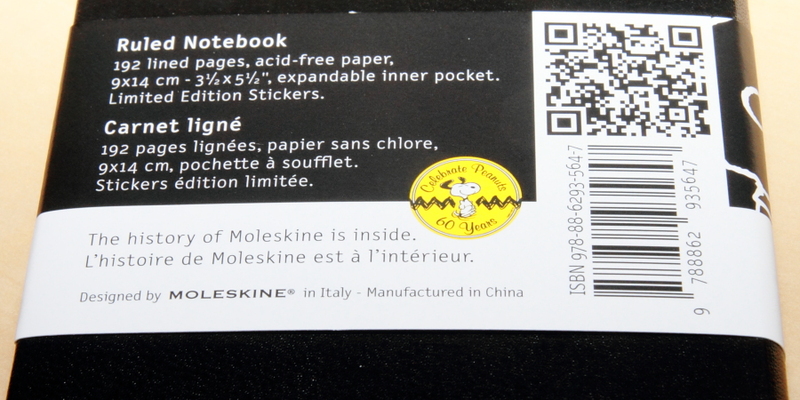 My first surprise came when I saw that Moleskines are made in China. I assumed they are made in Italy, but (as Lexikaliker would write it) a quick google search extensive research has shown that they are made in China since 2006. Contrary to the popular believe, I come across quite often, made in China does not equal inferior quality: I have seen many items of extremely high quality that are made in China …but without going into too much details about currency exchange rates etc, I would like to say that I was quite surprised to see Moleskines are made there because similar notebooks made in “high wage countries” are not more expensive than Moleskines (limited edition or not) – I just assumed Moleskines were made in Italy because of the high price …but of course I cannot blame Moleskine Srl or its parent company for trying to milk the cash cow by increasing their profit margin. In the end they are a company and want to make profit. 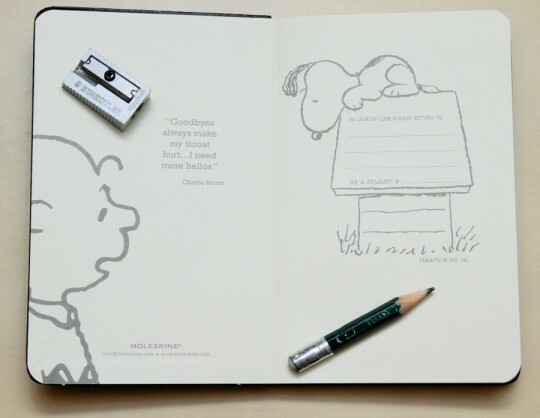 I ordered this Moleskine from WHSmith’s online store – they were the cheapest shop I could find. 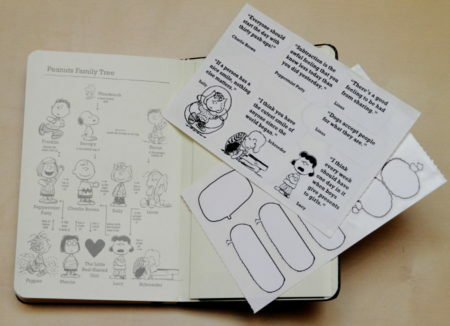 This A6 Moleskine was £7.43 ($11.93; €8.56). I have not yet been able to find the limited editions on the high street or in shopping centres (Paperchase, WHSmith, John Lewis, …). 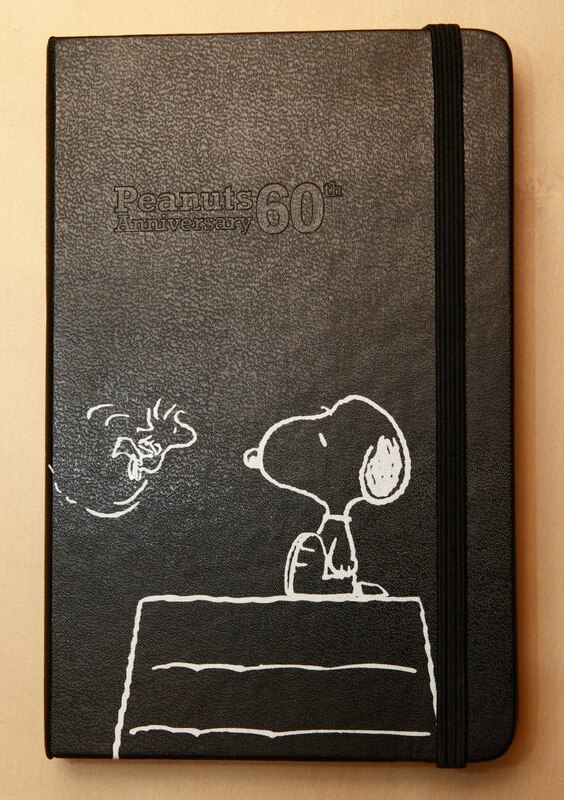 It feels nice and well made, though I have seen similar notebooks where the workmanship seems to be better. The coating above the spine feels a bit loose but should be able to cope with daily use. It’s still possible to buy Moleskine notebooks which have been manufactured in Europe, though you have to shop around. Chain bookstores like Waterstone’s are a good bet, and it probably helps if you are after one of the less popular models such as the notebook pre-printed with music staves. You’re definitely right that “Made in China” does not automatically equal badly made; unfortunately, however, a lot of the time that is true. I think the real reason is that there’s a lot of concern about “Made in China” stemming from the fact that nearly everything is now made there, and there’s an accompanying loss of manufacturing jobs here. That is something that worries me greatly. As for Moleskines, I used to be a fan, prior to the move to manufacturing in China. There was a definite quality drop when that happened and, more damaging to my mind, a certain element of betrayal. The Moleskine (dishonestly) trades on its links to the European literary and artistic elite, and thus is a very European brand by definition. To manufacture something that tries to be distinctively ‘European’ in China undermines its appeal to me and many others. Bruce, thanks for letting me know. 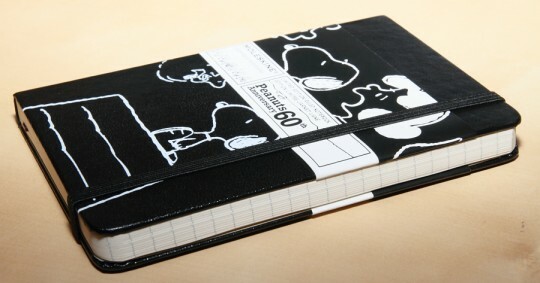 I will have a look, but I am not sure yet I will buy one, because I ordered more Peanuts and Pac-Man notebooks and might have more than I need for the near future. Mike, you are right that everything seems to be made in China. There seem to be many reasons for this, but keeping the “weak” currency out of this discussion it is the companies and also the consumers who have created this system. The companies want to increase their profits and the consumers like to buy cheap items and don’t mind or even like throwing them away so that they can buy new items – so there is a demand for products so cheap that the quality cannot be fantastic, wherever they are made. Instead of buying many low quality items I usually prefer to buy a few high quality items that last longer, whether it’s clothes or electronics or other goods, but these items are increasingly difficult to find. One good thing about Moleskine is that they are at least honest about where the notebooks are made. Many manufacturers do not state where the products are from and try to give the impression they are made where the company is from. Another point is that different parts might be from different countries (see http://davesmechanicalpencils.blogspot.com/2010/06/stabilo-easyergo-14mm-mechanical-pencil.html ) so it might be difficult or impossible to give a clear statement where the product is from.